To kick off our celebration of Boris Karloff’s birth month, I want to first direct our readers to the only Official Boris Karloff Web Site, which is maintained by his descendants. This site has fascinating interviews, articles, and a gift shop. I was quite pleased to see that they sell More Than A Monster, the only Karloff biography approved by his surviving family. This book has been hard to find, and hopefully, my copy will arrive in time for me to post a review of it this month. 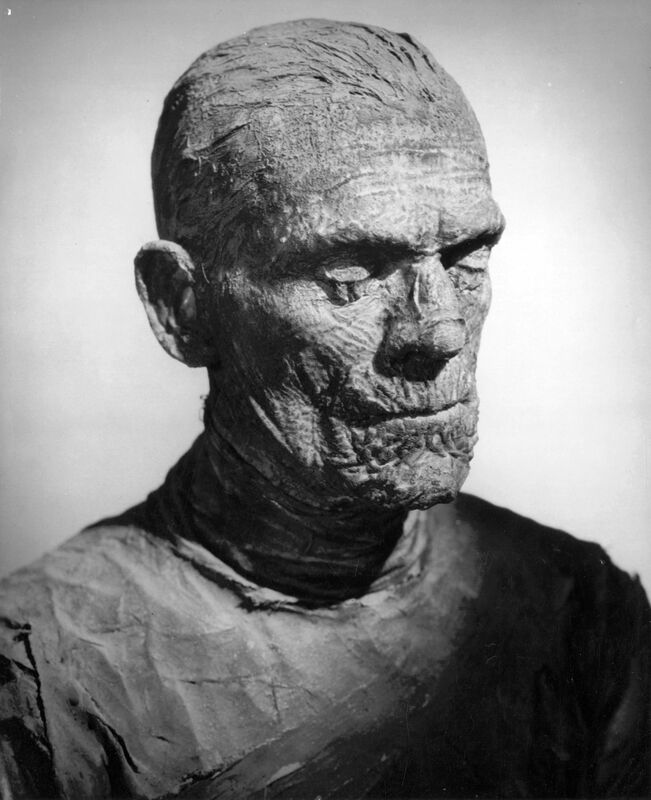 I’ll be discussing several of Karloff’s lesser-known films later, but my favorite is The Mummy (1932), directed by Karl Freund (who also directed Mad Love , another personal favorite). The Mummy of course spawned many sequels and remakes, many of which depicted the titular mummy as merely an automaton doing the bidding of another villain. Only the 1932 version featured Karloff’ and provided a character with enough depth to showcase his acting range. 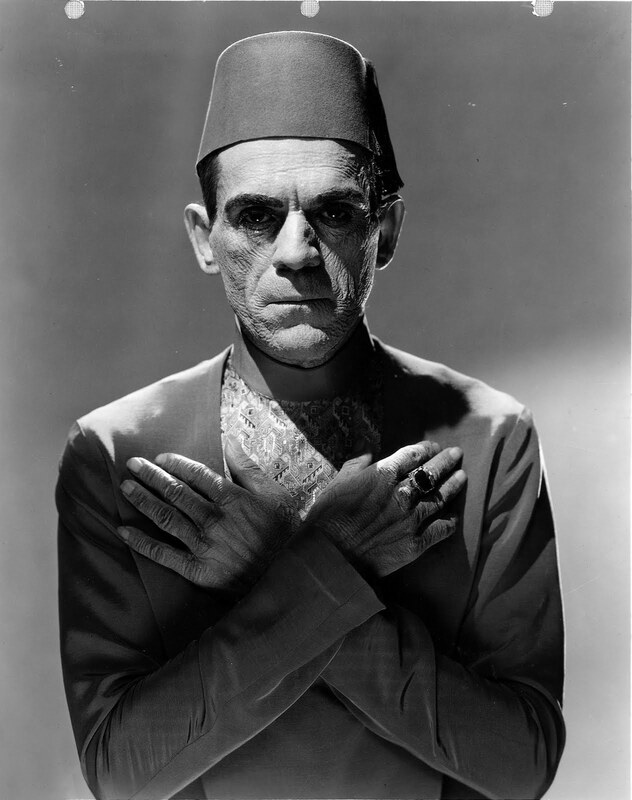 Based on the films I’ve viewed, The Mummy may be the closest thing Karloff had to a romantic lead. As Imhotep, a disgraced Egyptian priest condemned to be mummified alive for his love affair with a priestess of Isis, Karloff brings a great deal of humanity and sensitivity to the character. For a time, Imhotep even wins the heart of his reincarnated lover. However, anyone who loves someone so intensely for thousands of years may have a bit of an obsessive streak and trouble accepting rejection. When his love interest Helen refuses her role in a ritual to gain immortality, Imhotep decides complete the ritual by embalming her alive. 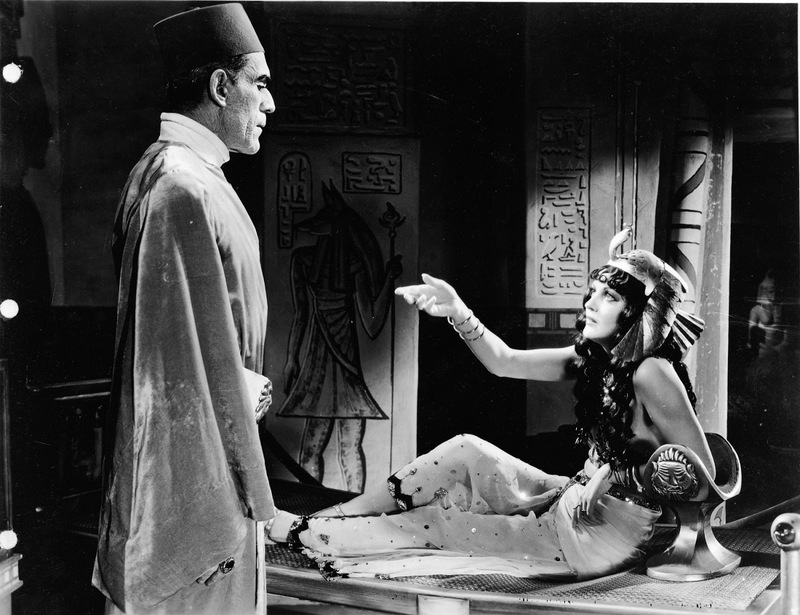 In many respects, The Mummy is a pagan and proto-feminist counterpart to Dracula, as Imhotep’s powers can be diminished with an amulet of Isis rather than a crucifix, reincarnation is a key aspect of the plot, and Helen defeats Imhotep by invoking Isis for protection, rather than relying on her dull boyfriend and other male characters to save her life. All aspects that were a bit unusual for films of the era. The Mummy is essential viewing for not only Karloff fans, but all lovers of horror. Coming soon: The My Horrific Life Podcast!